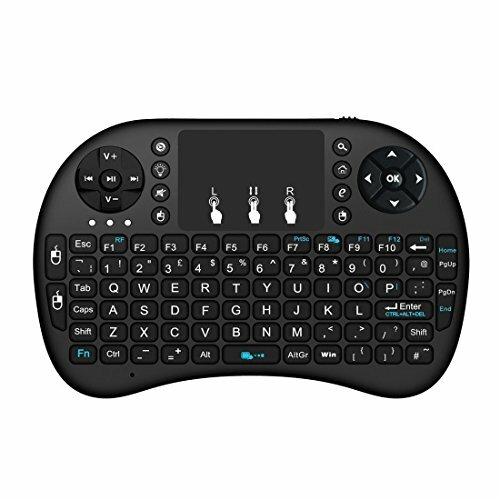 [ With Free Wireless Keyboard]: Built-in high sensitive smart touchpad with 360-degree flip design.Perfect for PC, Pad, Andriod TV Box, Google TV Box, Xbox360, PS3, HTPC/IPTV. 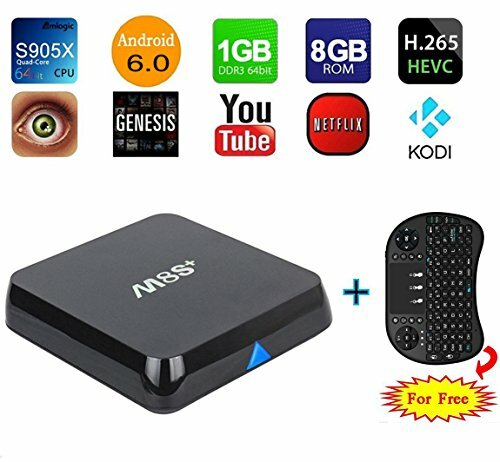 [ Easy connection and simple operation ]: BestoU M8S+ TV BOX has HDMI and AV out port. You can go directly to let your TV and M8S+ are connected through a HDMI cable or an AV cable. Two 2.0 USB port, connect with your mouse and keyboard to help you operate more convenient. 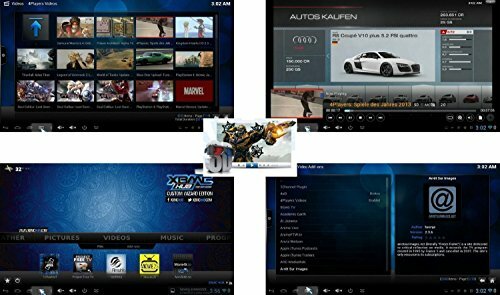 [ Excellent streaming tv box with Android 5.1 ]: Rapid, stable configuration coupled with the highly customized android 5.1. [ Smart tv box with 4k/3d function ]:BestoU M8S Tv Box has quad-core CPU, Octa-core GPU. Its high machine configuration gives you ultra-fast running speed and professional image processing ability. 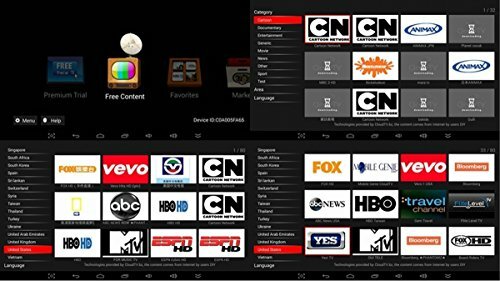 [ ALL APPS pre-installed ]: YouTube, Netflix, etc.are all pre-installed in this streaming media player, can be used to play almost all popular audio and video formats. Earlier in the year we looked at the M8S Android TV Box, which is a budget machine, and has a impressive performance compared with the other budget machines. Now we have the newer model, the M8S Plus. There are only two major changes between the M8S and the M8S Plus. The M8S Plus has an Ethernet gigabit connection, and runs on Android Lollipop 5.1, but other than these changes, the machines are largely the same. So for those of you who already have an M8S, there is not a huge reason to upgrade to the M8S Plus. 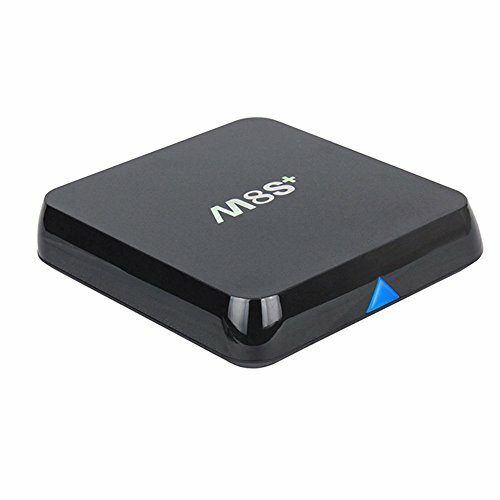 But for those of you that are looking for your first Android TV Box, the M8S Plus is an excellent starting point, and the addition of Android Lollipop makes it worth the extra couple of quid. The M8S plus still features the AM Logic S812 2GB of RAM, 8GB of Flash storage, but now runs on Android Lollipop 5.1. These are the only differences, so I will just focus on these in this review. For a more detailed insight into the box, you should also read the M8S review from last year, as it goes into a bit more detail in certain areas, that I didn’t want to rehash here. Once you open the box you will find the M8S Plus with the same design as the previous version, a user guide, a power adaptor, an infra-red remote control, and a HDMI cable. When you take a closer look, the design and build quality while nothing special, is solid enough for a budget machine. There are no ports on the front of the machine, the only feature being a very dim blue light that is lit when the device is turned on. 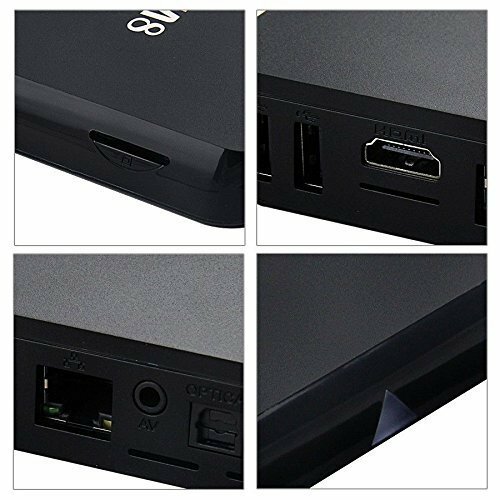 On the right hand side of the box there is a full size SD card slot,l and on the back you have two USB 2.0 ports, one HDMI 1.4 port, a gigabit Ethernet connection, an AV out, and optical out and of course the power jack. It has 4 rubber feet on the base and some vents to ensure it doesn’t overheat, and on the top the M8S+ logo. Now let’s look a little bit at the remote control. An infra-red remote comes included, but in my opinion you should spend the extra few pounds and get a wireless blue-tooth remote. Check out our review on the best remotes for Android Boxes to help you decide. The launcher on the m8S+ is the same as the one we had on the previous generation. There is nothing too bad, nothing too good, it is pretty standard for a budget box. 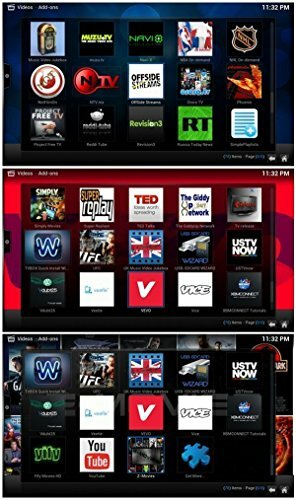 But of courselike on most Android TV boxes, we can install other launchers which is what we usually do here. On this occasion I went for the KKM launcher, which I really enjoy using and it gives a great look to the launch. But of course this is something that you will have to play around with yourself and see what you like best. On the network speedtest using we got 46 megabits per second download, and megabits per second of upload speed. On the internet connection we got 100 MB/S download (which is the maximum of my connection) and 20MB/S upload. There is little to no difference in gaming quality from the last version to this one, but this is not necessarily a bad thing. The quality is still good for a budget box, and the machine still performs great. Now let’s move onto the video department, which is probably the main reason most of you will be buying one of these machines. Using Kodi as always (Kodi 15.2 comes pre-loaded) and the results were exactly the same on both the old and new models. It is very capable of running all of the movies that I played from my own library, with qualities up to 4k using codec h264 and h265. It played very smoothly while fast forwarding and rewinding, which some boxes are not really capable of, but the M8S+ handled it great. As a budget box, the performance of this machine is very well balanced, and would definitely recommend it to anyone looking for a cost effective solution to dip you toes in the Android TV box waters! I tried to connect my iPhone to the box, and was able to mirror and stream from my iPhone 6 to the M8S+ without any difficulty whatsoever. But when I tested out the airplay using the iMac where I have my photo library, there was some frame dropping, but this is a small issue me. That’s it for our M8S Plus review. Let us know what you think in the comments. The very dim blue light, looks nice and doesn’t distract your eyes, especially great if used in a bedroom. Overall performance for the price is excellent. It comes rooted straight from the factory. Airplay from iMac to M8S+ is not perfect. Not important for everyone, but be aware.